Based off of the infamous Helicopter in the US. THIS USES ACTION KEYS TO RUN! A stock aircraft called Bell UH-1 Iroquois [Huey]. 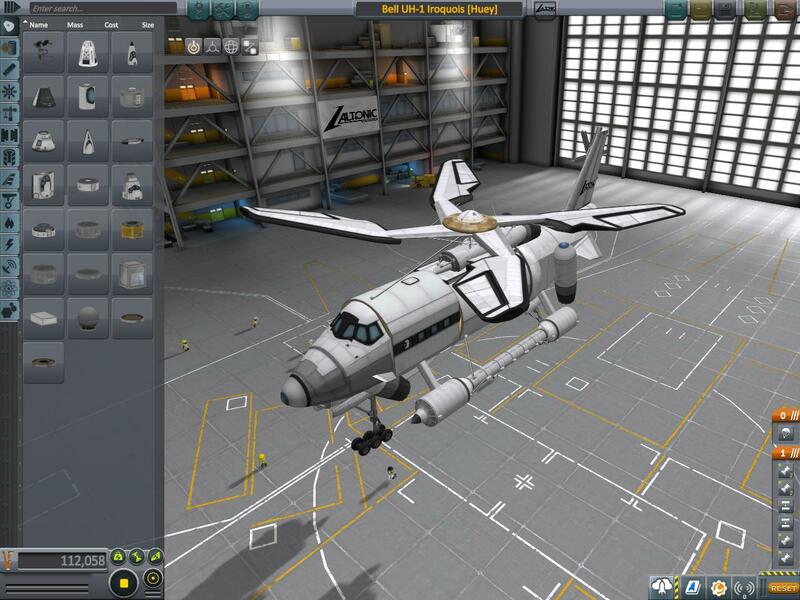 Built with 155 of the finest parts, its root part is mk3Cockpit.Shuttle.